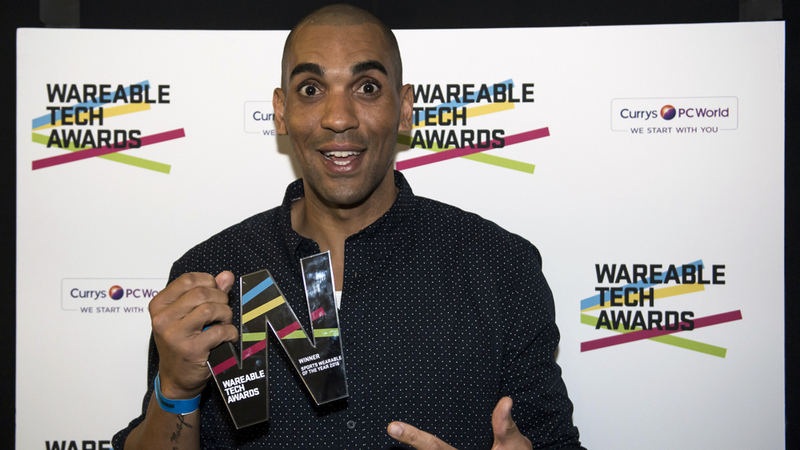 Easily the hottest category in this year's Wareable Tech Awards, Sports Wearable of the Year 2016 was filled with some big potential winners. With wearable tech heavily focussing on sport this year, it's no surprise that there were so many strong devices to pick from – and in future years, the category will likely be split into two or more focussed divisions. The category was dominated by nominations for some seriously strong sports-based watches, with Fenix 3 HR, Polar M600, TomTom Spark 3 and the Forerunner 735XT all in contention. And the voting among the judges was heavily focussed on these devices. Which is a shame, because the GPS watch cohort took the limelight from some seriously impressive tech. Zepp Golf 2 was one such device that would have stood more of a chance if separated from the big guns of sports watches. But the Moov Now dominated the judges' votes. The main reason was that while other devices were used more in day-to-day life, the judges wanted to recognise the smart coaching elements of Moov. The way Moov is set up to improve your form and fitness, not just spout numbers and stats, clearly resonated with the judges. Despite the huge achievements in wearables, few companies have matched the ambition of Moov when it comes to cutting through data. And the phrase "This is what wearables should be about" dominated the discussion. A worthy winner. But a word for our runner up, the TomTom Spark 3. A Wareable favourite, it wasn't as popular with the judging cohort, yet scored well with the team. It's a great running watch and one that was recognised thanks to pushing wrist-based music for runners and superb heart rate accuracy. While that makes the Spark 3 a worthy Highly Commended winner, Moov Now's unique coaching element makes it a worthy Sports Wearable of the Year.